Woke up early this morning at my campsite...freezing. I feel I've planned well for this trip, except for cold weather. Anyhow, I packed up everything, and then was able to use the KOA facilities to have a quick shave before I get on the road (who am I kidding...anytime I shave it takes a long time). I started the drive towards Crater Lake National Park which was in Oregon, NE of my location. It took a few hours longer than I had planned to get there (I ended up having to stop for a nap on the way), but it was well worth the drive. 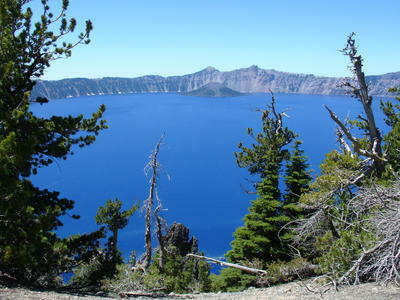 Crater Lake is the remants of a former volcano, Mt. Mazama. 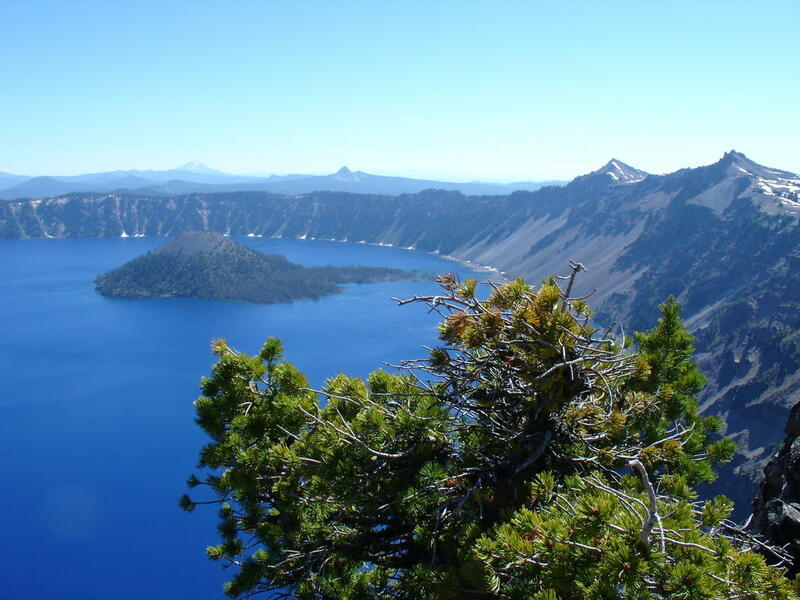 Centuries ago, the volcano erupted, collapsed on itself, and water filled the crater. 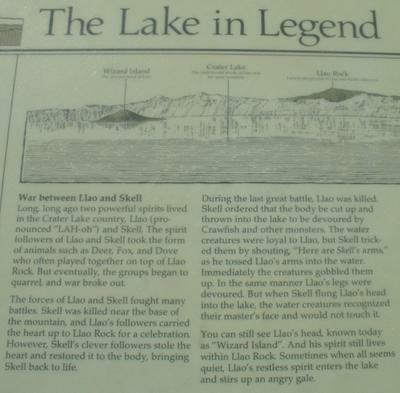 It is the deepest lake in the U.S. The Blackfeet Native American Tribe consider it a sacred site and white settlers had to discover it on their own, as the Blackfeet chose not to tell them about it. After visiting, you can see why it was considered sacred. 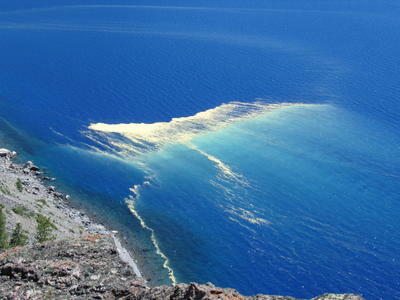 I have never seen water so blue. 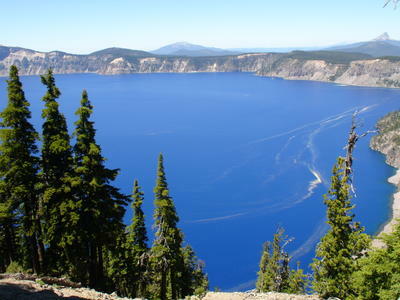 I thought the Pacific was blue, but nothing compared to Crater Lake. In fact, Native American legend says the bluebird was gray before it dipped into Crater Lake. I spent several hours at the lake...I actually found an area near the Northern Rim where I could hike and, hopefully, discover my own view of the lake away from the crowds. Though the hike was only about a mile uphill, you could feel the effects of the low air pressure. Just the road outside of the lake, Rim Drive, is pretty high in elevation itself. And then you climb higher, and you can certainly feel it as your lungs work harder. But it was worth the hike...I found a great view of the lake and had it all to myself. There was this narrow ledge of rock that extended almost over the lake, so I climbed down there to check out the view. I'm a little squeamish when it comes to heights, but I certainly had more than enough room to walk down. 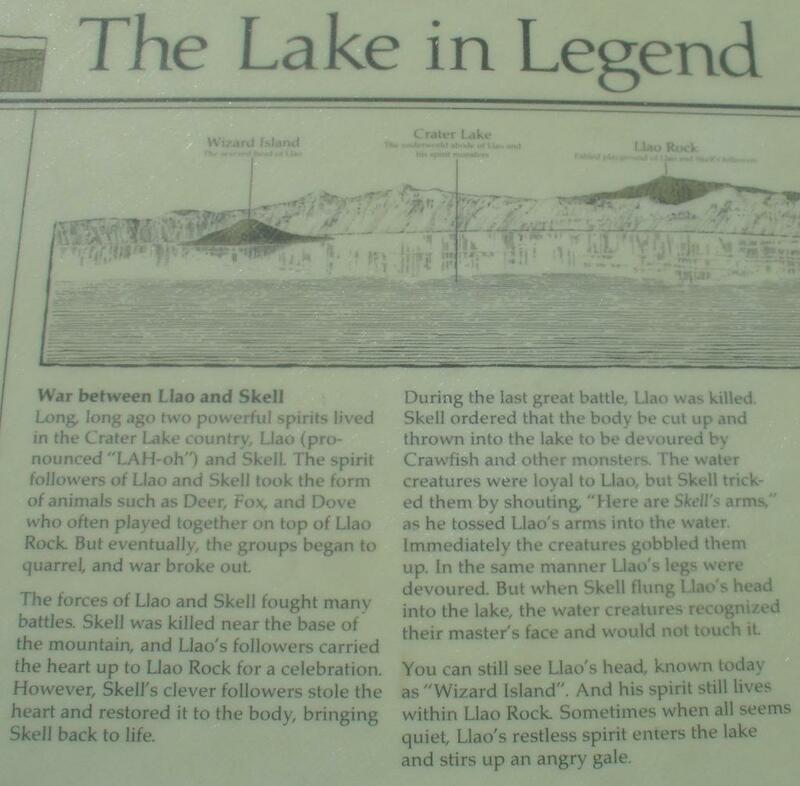 Once I got there, I threw a little rock to see how long it would take before it reached below...it took a good five seconds before it hit the rocks on the shore. Needless to say, it was a little creepy looking down, but overall, it was very enjoyable being up there. 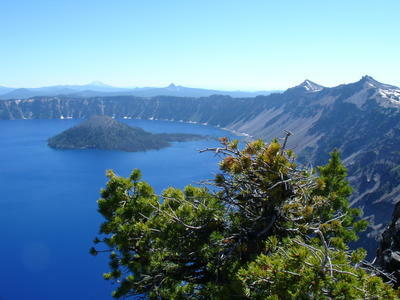 Crater Lake, despite the crowds, was such a quiet and beautiful place. I hiked down much later and had to get on the road...it was after 3 at this point. I got a bite to eat at a nearby restaurant, and then began to head up route 97 with the ultimate aim of reaching Interstate 84, which runs along the Oregon/Washington border. I'll take that route for a while, then veer off on highway 2 into Idaho. But I wasn't able to make it to the Interstate, as the trip to Crater Lake wore me out...so I stopped at a rest stop near Madras. I'll be in Idaho tomorrow, and should be able to get to Montana by nightfall. And then, it will be a quick drive to much-anticipated Glacier National Park.